skladem 3 ks, Odesíláme 23. 4. Muchmore Racing with X-GEAR introduce the "FLEX SPRING G8" set for electric touring car. · Containing four different rates of C2.4, 2.5,2.6,2.7 and 2.8 the set is designed to cover the needs of asphalt track and carpet track. 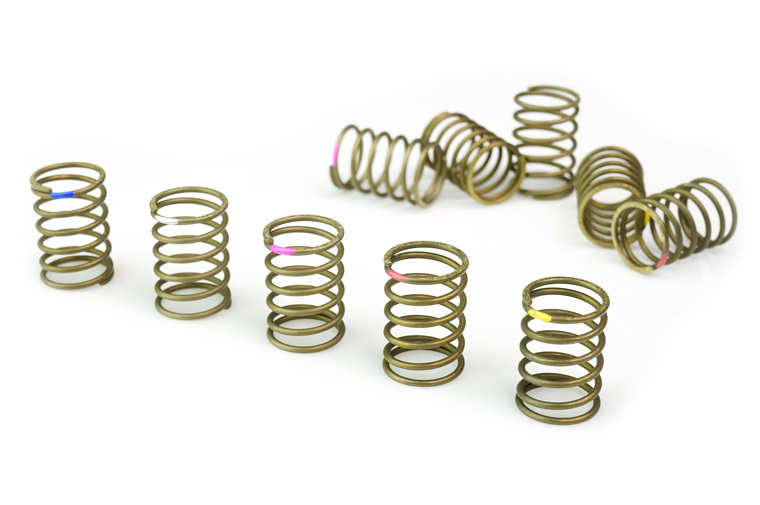 · "FLEX" spring design is 25mm long and they offer an oversize diameter of 13.5mm.